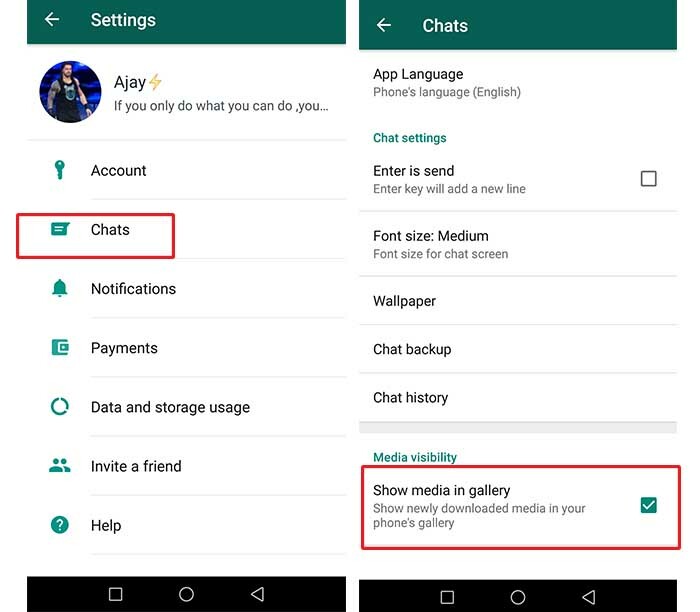 Latest WhatsApp update enables a new feature in Android which lets users hide WhatsApp media from the gallery. Previously this option is available for iPhone users only, but now, it’s rolled out to Android as well. Users can even hide media of a particular chat from appearing in Gallery which is a life saver. Sounds too good right? You no longer need to worry about your privacy. We all have certain WhatsApp media which we don’t want to appear in phone’s Gallery. WhatsApp heard us and made this feature available. Enabling this feature will prevent your WhatsApp media from appearing in Gallery or camera roll. So the next time you wanna view a WhatsApp photo or Video, you have to open the WhatsApp chat. Here is how to enable it. 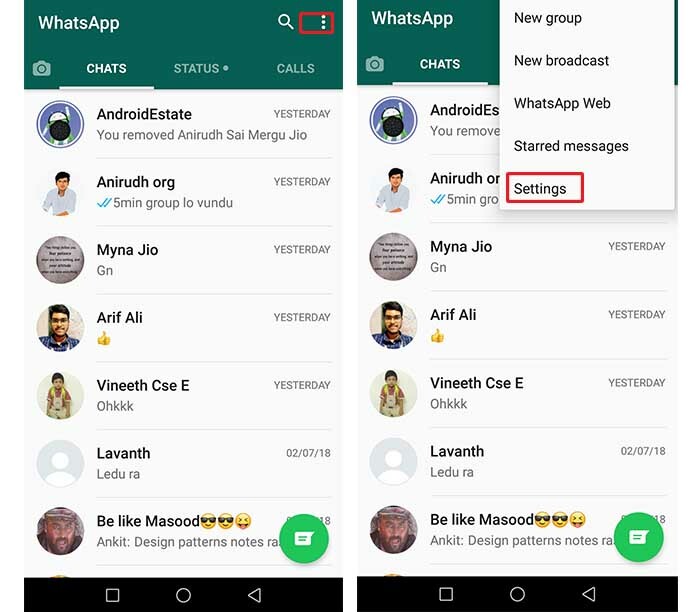 Open WhatsApp and click on the 3 dot icon on the top left corner of the screen. In settings, Click on “Chats”. At the bottom of the screen, you will find an option “Show media in gallery” which is selected(enabled) by default. Uncheck (deselect) the option. That’s it, all the media that’s entering the phone via WhatsApp will no longer visible in the gallery. However, the WhatsApp media which is downloaded before toggling this feature will still appear in the Gallery. 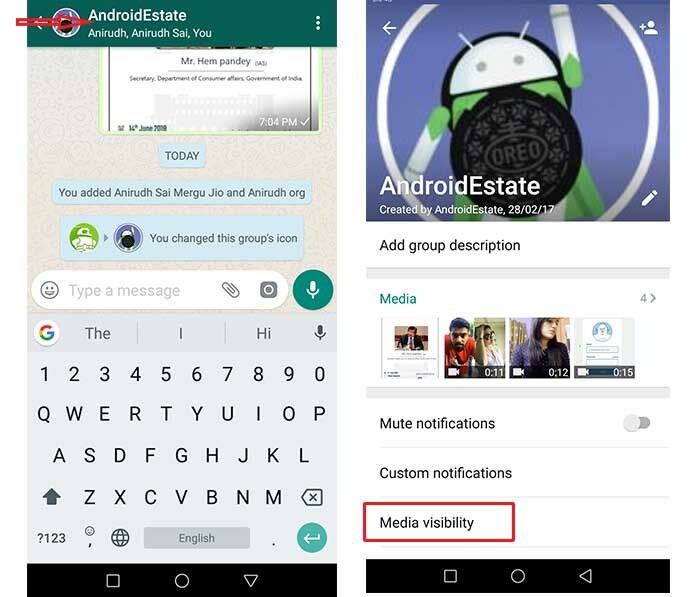 However, the WhatsApp media download after toggling this feature will no longer appear in WhatsApp. related: 3 Best ways to Hide Files in an Android mobile. 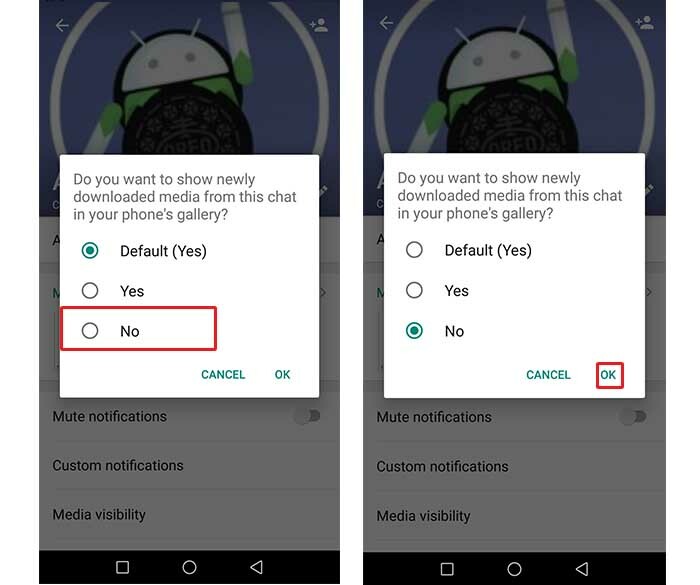 The option above mentioned will hide media from all chats. But, if you want to hide media from a particular chat, then there is an option for you as well. Open WhatsApp and select conversation of the person or group you wanna hide. click on the name which will take you to Info Screen. There you will find an option called “Media visibility“. Tap on it. A pop-up window appears asking “Do you want to show newly downloaded media from this chat in your phone’s gallery?“. By default, it will be set to “Yes”. Click on “No“. Click ‘Ok‘ to save changes. That’s it, WhatsApp media from this particular chat will no longer appear in phone’s Gallery. Similarly, you can do this to multiple contacts as well. You can even use this feature on Groups.